The JMP1100M Marching Mellophone features a bore and yellow brass bell designed for excellent projection and intonation. 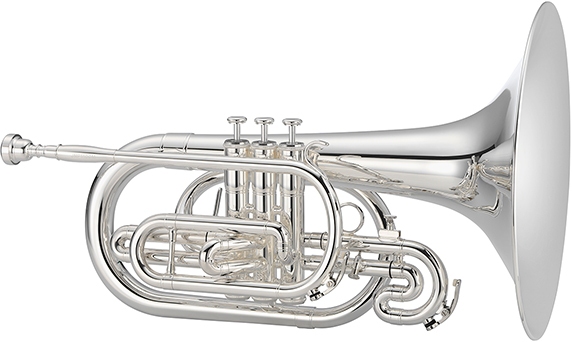 The JMP1100M also features Stainless steel valves and a Horn/Mellophone hybrid mouthpiece. The JMP1100MN Marching Mellophone features a bore and yellow brass bell designed for excellent projection and intonation. 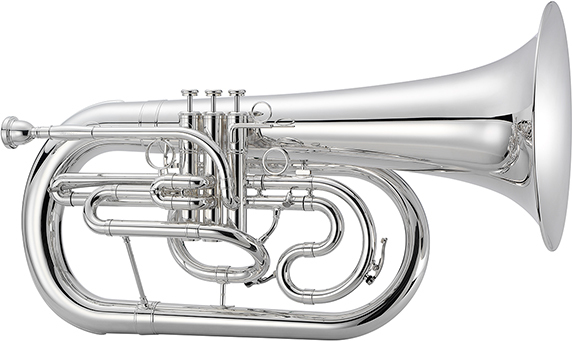 The JMP1100MN also features Stainless steel valves and a Horn/Mellophone hybrid mouthpiece. The JMP1100MS Marching Mellophone features a bore and yellow brass bell designed for excellent projection and intonation. 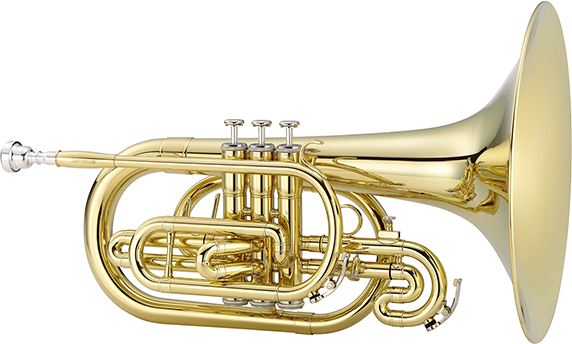 The JMP1100MS also features Stainless steel valves and a Horn/Mellophone hybrid mouthpiece. 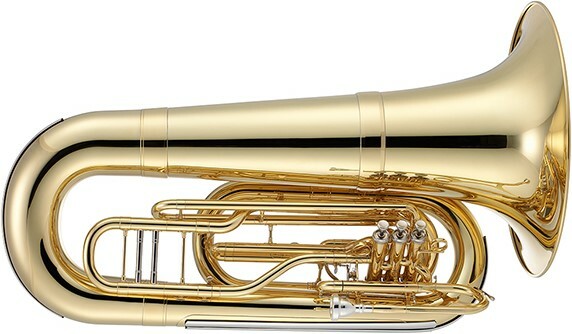 The JBR1100M Marching Baritone features a 531-inch bore plus a 10-inch yellow brass bell designed for great projection. The JBR1100M also features a 1st valve slide trigger and 3rd valve slide finger ring for easy intonation adjustment plus Stainless steel valves for worry-free performance. 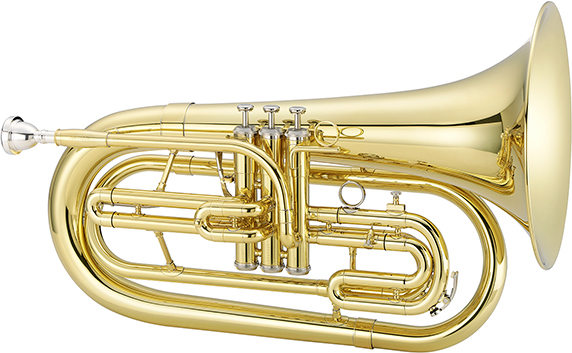 The JBR1100MN Marching Baritone features a 531-inch bore plus a 10-inch yellow brass bell designed for great projection. The JBR1100MN also features a 1st valve slide trigger and 3rd valve slide finger ring for easy intonation adjustment plus Stainless steel valves for worry-free performance. 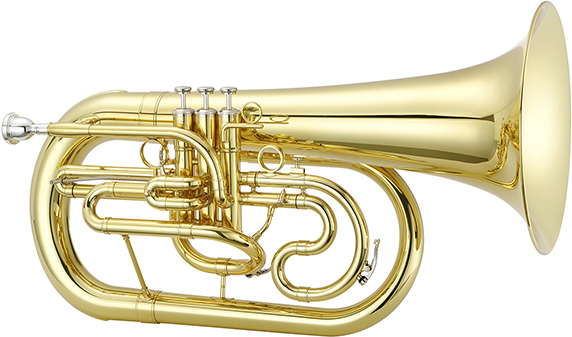 The JBR1100MS Marching Baritone features a 531-inch bore plus a 10-inch yellow brass bell designed for great projection. The JBR1100MS also features a 1st valve slide trigger and 3rd valve slide finger ring for easy intonation adjustment plus Stainless steel valves for worry-free performance. The JEP1100M features a .592" bore plus an 11" yellow brass bell for a rich, dark sound that will project all the way to the press box. It also features a 1st valve slide trigger and 3rd valve slide finger ring for easy intonation adjustment plus a right hand carrying ring for player comfort. The JEP1100MN features a .592" bore plus an 11" yellow brass bell for a rich, dark sound that will project all the way to the press box. It also features a 1st valve slide trigger and 3rd valve slide finger ring for easy intonation adjustment plus a right hand carrying ring for player comfort. The JEP1100MS features a .592" bore plus an 11" yellow brass bell for a rich, dark sound that will project all the way to the press box. It also features a 1st valve slide trigger and 3rd valve slide finger ring for easy intonation adjustment plus a right hand carrying ring for player comfort. 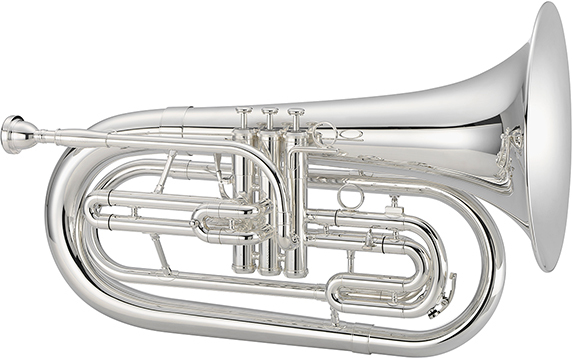 The JTU1100M Quantum Tuba incorporates unique features that puts it ahead of the competition. The first valve tuning slide trigger allows for quick tuning while the extended range main tuning slide offers greater tuning range. The tone ring on the bell helps radiate great power from its 21" bell.